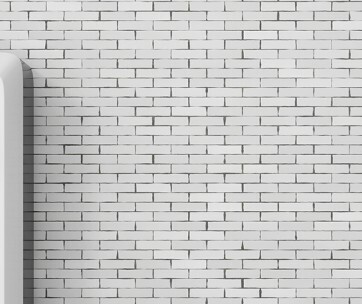 Most folks don’t notice the soap scum, water spots and dirt slowly building up on the inside of their shower enclosure until it’s pretty far along. By then they have to break out the glass cleaner, tile cleaner and elbow grease to get it all off. It’s a tiring, thankless job but it doesn’t have to be so. 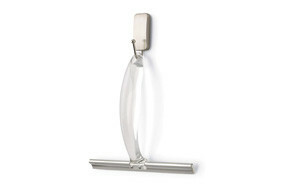 There’s an easier way to keep the shower clean and maintain a healthy environment in the bathroom: the shower squeegee. When you first look into purchasing one you may be surprised at how many different styles are available. Thankfully we’ve whittled down the best shower squeegees for you to a tidy half dozen. If you love the idea of a shower squeegee but don’t want it to stick out like a sore thumb in your shower or bath enclosure the Command Satin Nickel Shower Squeegee may be just what the doctor ordered. The Command is easy to install and hangs upside down from its stainless steel hook. This helps break up the squeegee profile a bit and allows it to meld into the surroundings. On top of that it has a crystal clear Lucite handle and a satin nickel finish which both aid in its ability to blend in. But it’s more than just the cuttlefish of shower squeegees. 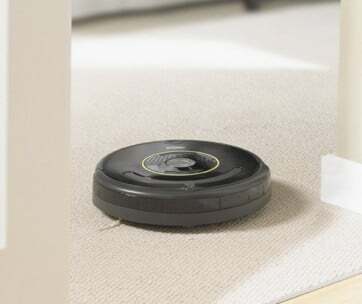 It’s also extremely effective at removing all manner of water stains, soap residue, dirt, steam and more from your enclosure with just a few broad swipes. No need to apply glass cleaner. No need to leave the shower door open to let the moisture evaporate from the interior glass surfaces. The Command takes care of everything and then tucks away out of sight. There’s no mistaking the OXO Good Grips Squeegee for anything other than what it is: a shower squeegee. At the same time there are few other shower squeegees that work so well and so easily and store away so neatly wherever in the shower enclosure you want to put it. Want to attach it to a discrete portion of the glass or the ceramic tile in an out of the way place? No problem with OXO’s easy to use suction cup mounting system. More than just convenient though it’s also uber-effective. It has a flexible blade that doesn’t shrink from or ignore uneven surfaces, an ergonomic grip that makes getting a firm hold easy as pie and it’s wide enough that you can clear your big enclosure windows, shower door or tiles in just a few swipes. You’ll enjoy streak free cleanliness and your bathroom will be a healthier, better smelling place for using it. The HASKO shower squeegee is another wide, easy to use, durable shower squeegee that will remove soap scum, spots and anything else from your shower or bath enclosure with a minimum of effort. It’s a great looking bathroom accessory as well (if such a thing can be considered great looking) with its beautifully polished stainless steel and sleek lines. Simply attach the chrome plated hook to the glass or wall and you have instantly made your bathroom a better place to be. The shower squeegee is one of those household maintenance items that should never be overlooked. We’d liken it to a vacuum cleaner. If you vacuum regularly your carpets never descend into abysmal shape. Same with the shower squeegee. Make it a part of your regular post shower routine and you’ll never again think “Time to clean the shower”. It will always be clean. This Hasko squeegee comes with a 90-day money back guarantee. The simplehuman Foldaway Shower Squeegee understands that not everyone needs or wants to hang their shower squeegee out in the open (although there’s a suction-cup enabled hook if you’d like to do that). The handle of this lightweight, effective squeegee folds down parallel to the blade when you’re done with it so you store it away quickly and effectively in any available drawer. If you want to hang it you have the option of hanging it open or folded up, which really minimizes its visual footprint. The simplehuman Foldaway is fashioned from corrosion proof materials that won’t ever give in to the humidity in the shower. 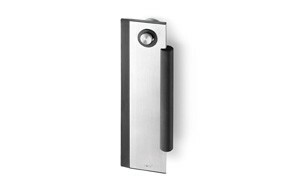 The handle is composed of die-cast zinc and provides an easy, firm grip. The motion is smooth and elegant on glass, tile, stainless and more. This is a cleverly designed, effective piece of bathroom maintenance kit and, for about the cost of a pizza, will make your home a more hospitable place for years to come. 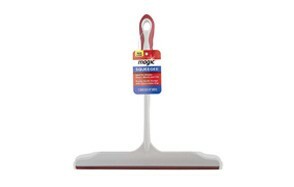 Any non-porous surface is fair game for the Magic Squeegee. It even does a good job with small tiles and their typically irregular surface. 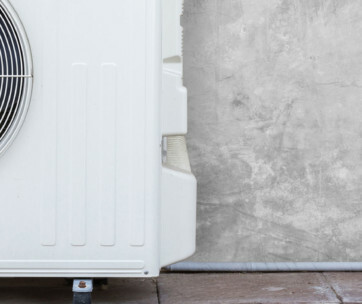 As a rule you should never pick a home maintenance item based solely on the price. But for what it costs you’d be hard pressed to justify passing this one up. Our final squeegee is a perfect example of the thought and care that goes into many of these seemingly simple, nondescript products. The Zack 40000 Puro Bathroom Squeegee manages to squeeze an extra bit of innovation out of a well-worn idea. It does so by doing away with the handle and introducing a hanging notch in the blade area. When you suspend the 40000 Puro in your shower stall no one is going to know exactly what it is. That means you can use it as much as a design element as you can a maintenance tool. The 40000 Puro is going to set you back a bit more than most other bathroom squeegees but it will be worth it to many. This is not only a beautiful piece of industrial design, it’s also versatile enough to fit seamlessly into both contemporary and traditional bathroom decors. It’s lightweight, effective enough to thoroughly clean all your non-porous surfaces with just a few swipes, simple to install on any bathroom surface with its adhesive backing and made of corrosion-proof materials. Mounting Types - Bathroom squeegees typically have a mounting plate with a loop or hook of some sort that holds the squeegee between uses. The plate is held to glass, porcelain, tile, drywall or other surfaces by way of an adhesive backing, a suction cup or good old fashioned screws. In most cases the hardest part of installing the plate is deciding exactly where to put it. Although if you purchased a squeegee with a screw-mounted plate your options are going to be necessarily limited. Blade Types - Most squeegee blades are made of neoprene, vinyl or rubber. They come in various thicknesses, usually depending on manufacturer, and may have a pointed or squared tip. Pointed tip blades are usually more pliable and are good for using on a variety of surfaces, particularly those surfaces that are non-porous but uneven. Square blades are a good for broad flat surfaces such as the glass panels of the shower enclosure. Progress from vertical to horizontal strokes - Once you’ve finished in the shower grab the best shower squeegee and make long continuous swipes from the top of the enclosure surfaces to the bottom. When you’ve completed all these vertical strokes go back to the top of each section and make horizontal swipes, left to right, all the way to the bottom. This will ensure you get into the corners and don’t leave any streaks. You’ll also want to have a paper towel handy to wipe the blade after every swipe so that you’re not just pushing dirt around. Don’t forget the floor - The floor of the shower enclosure is a favorite breeding ground for mold and mildew. Make big sweeping motions from the edge of the enclosure all the way to the drain, all the way around the shower until the floor is clear of standing water. When you’re done wipe the blade one more time and hang the squeegee up to dry. The humble shower squeegee will make an immediate and substantial impact on the way you experience your bathroom. If you don’t have one consider purchasing any of the effective, high quality squeegees profiled above.